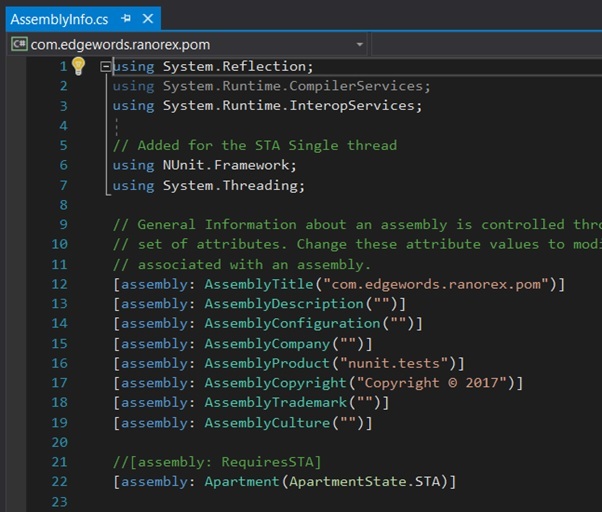 In this example, we are going to work through creating a BDD project in Visual Studio using SpecFlow and Ranorex. 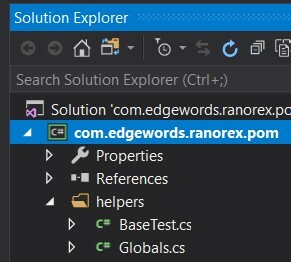 This is to show that we can do BDD using Ranorex, but as a draw back we don’t have access to Object Repositories. 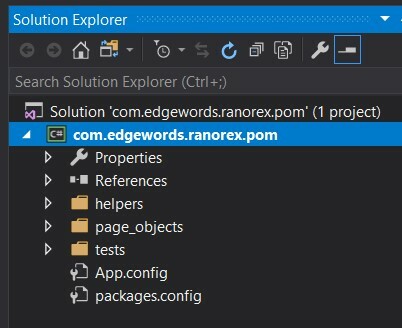 This could create a framework that is hard to maintain, so to counter this, I am going to demo how you create a Page Object Model (Similar to WebDriver) so Web Elements are only described once in our Project. 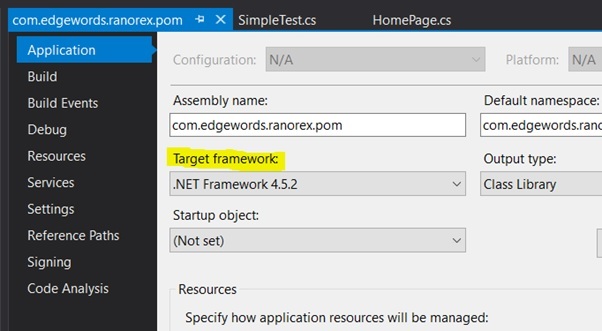 You need to set the project build target to .NET 4.5 or higher for the Ranorex API. 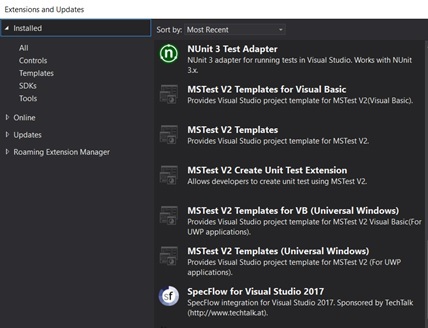 Now we need to add NUnit & SpecFlow libraries, which we can do using the NuGet Manager. 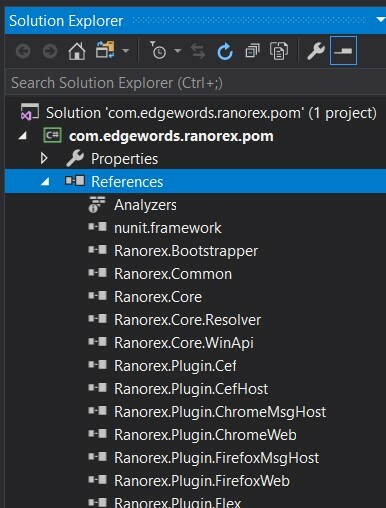 Right-click your References and choose Manage NuGet Packages, Click browse and search for NUnit. Now search for SpecFlow and add the SpecFlow reference as above. 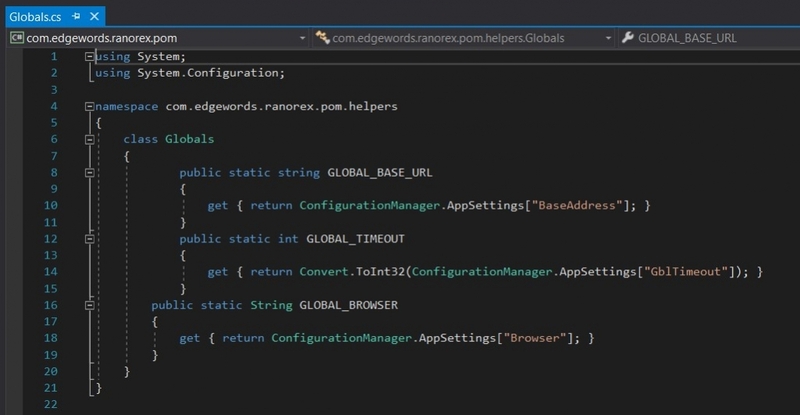 We would like to store some values globally such as the web domain we will be testing, which browser we would like to use and also any timeouts for finding Web Elements.